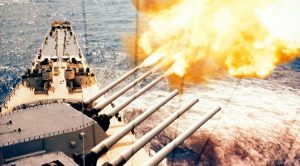 The Daks Over Normandy event on the 75th anniversary of D-Day is going to be the event of a lifetime! 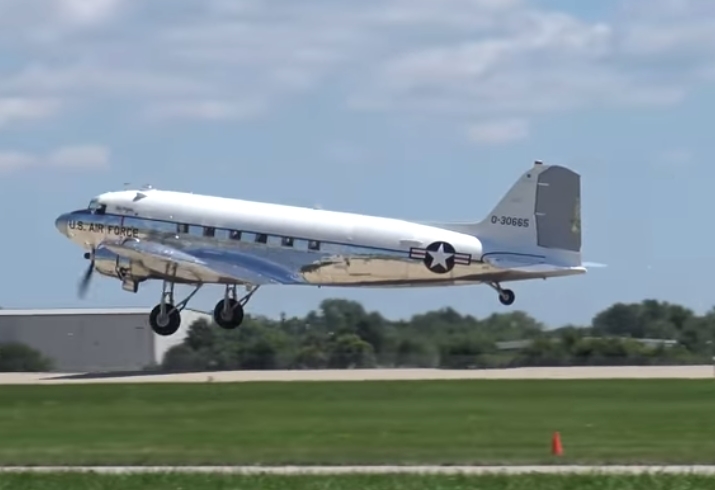 In total, there are (currently) 37 confirmed DC-3s and C-47s. Do you know who’s going to be there? 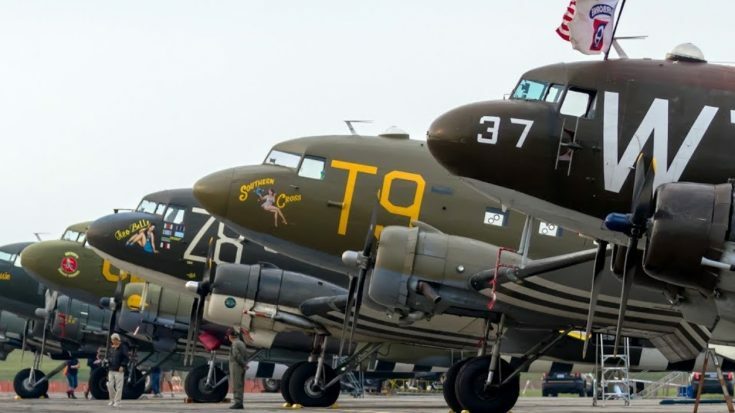 Check out our list of all the awesome, awe inspiring C-47s slated to go! We’ve got 16. Do you have a favorite? 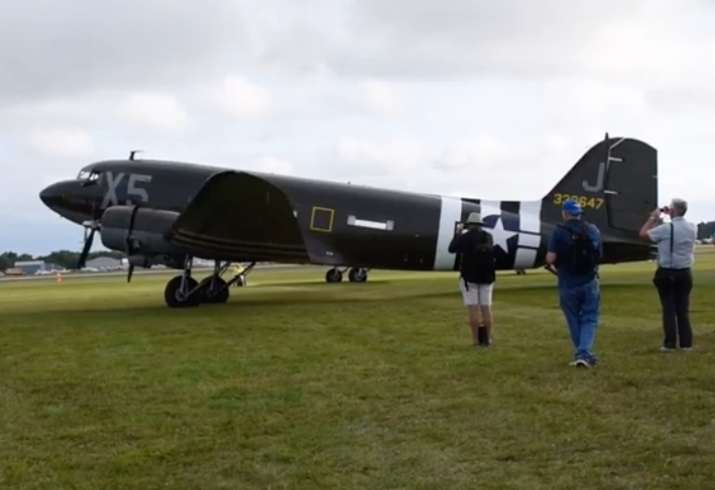 That’s All, Brother is one of the most exciting C-47s in the line-up thanks to its role in history as the lead plane on the drop over Normandy. 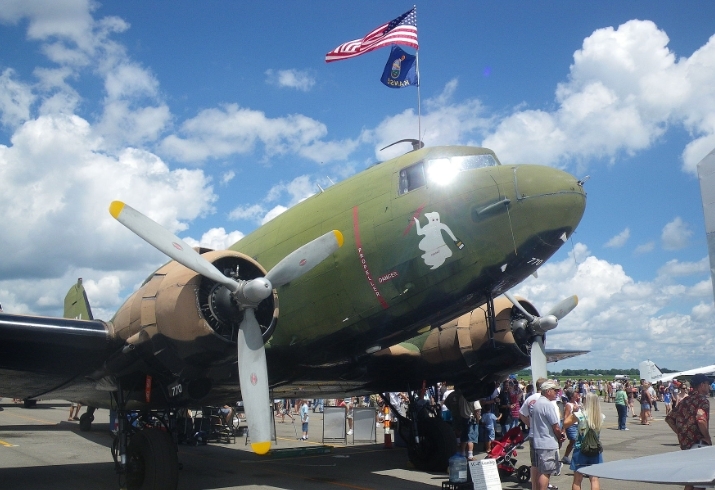 Piloted by Lt. Col John Donalson, she carried paratroopers of the 101st and 82nd on June 6, 1944. 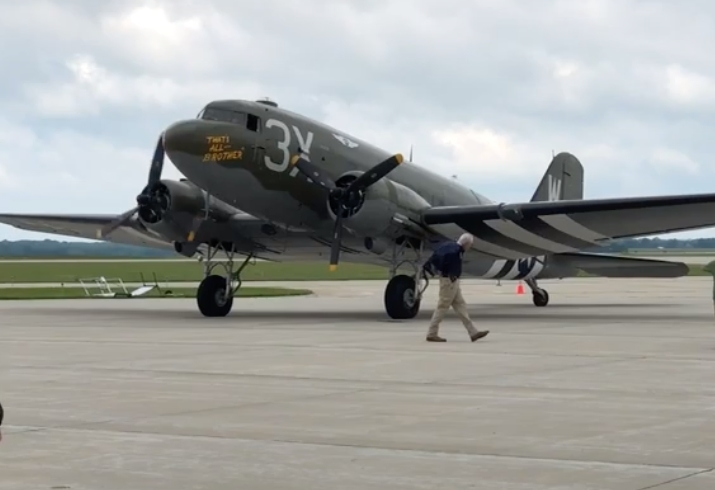 Drag ’em Oot flew the U.S. 82nd Airborne on D-Day and went on to fly a second mission on the very same day to resupply the troops in France. 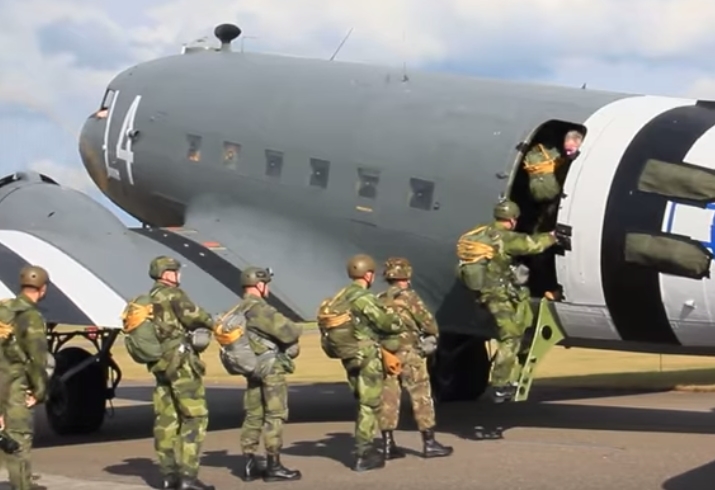 She also participated in Operation Market Garden in September 1944, the largest paradropping operation in history. 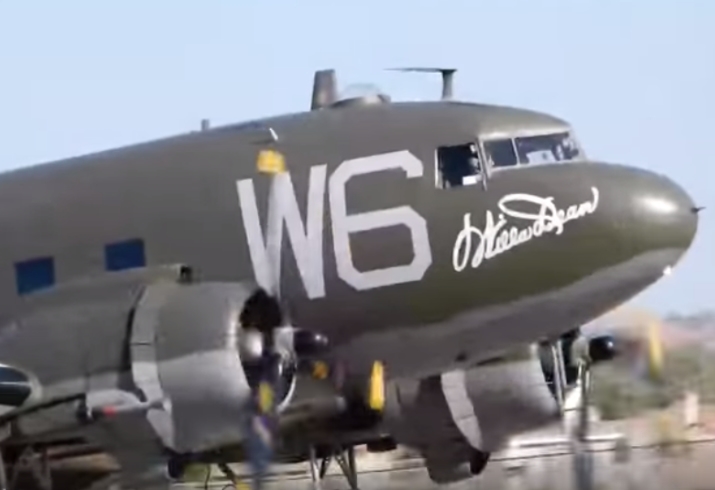 This C-47 flew with the 53rd Troop Carrier Wing , 435th Troop Carrier Group’s 75th Troop Carrier Squadron. She flew two resupply missions during the Battle of the Bulge and towed Waco CG-4A gliders for Operation Varsity on March 24, 1945. She then repatriated Allied POWs from France to England at the end of the war. 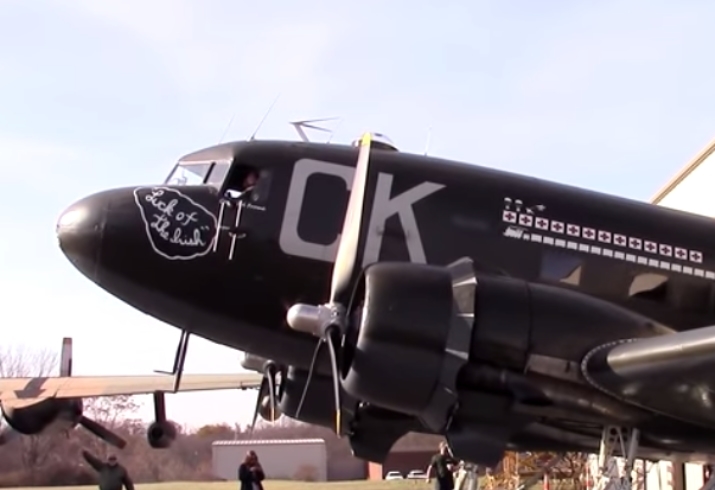 N47SJ, built in Oklahoma in 1944, arrived too late for D-Day, but still contributed to the war effort in Operation Market Garden and the Battle of the Bulge. 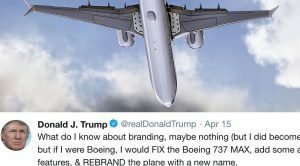 She also participated in the the Berlin Airlift. 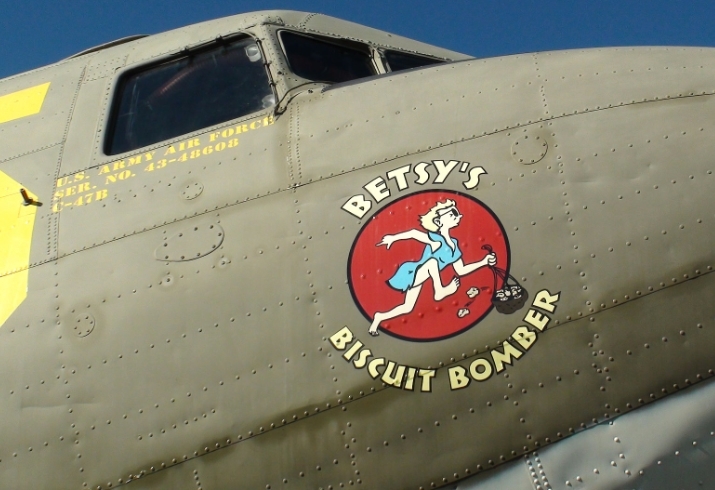 Her name, “Betsy’s Biscuit Bomber,” pays tribute to the wife of museum owner and Gooney Bird Group co-founder Glen Thompson and to its role in dropping supplies to troops. 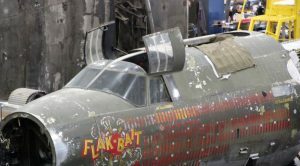 “Spooky” was restored as John L. Levitow’s Medal of Honor Aircraft by the American Flight Museum in Topeka in 2000. She was active in WWII, flying to England in August 1944. 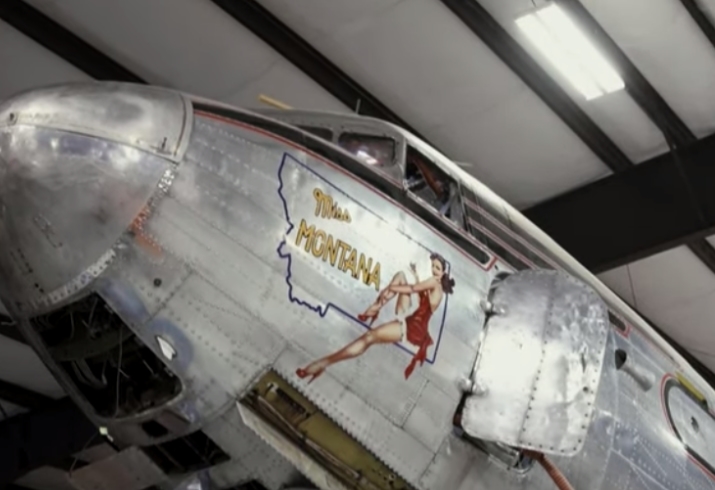 Though Miss Montana didn’t fly during WWII, this Gooney Bird did fly the smokejumpers that fought the Mann Gulch Fire near Helena, Montana in 1949. Tragically, 12 smokejumpers and one smoke chaser perished in the fire. 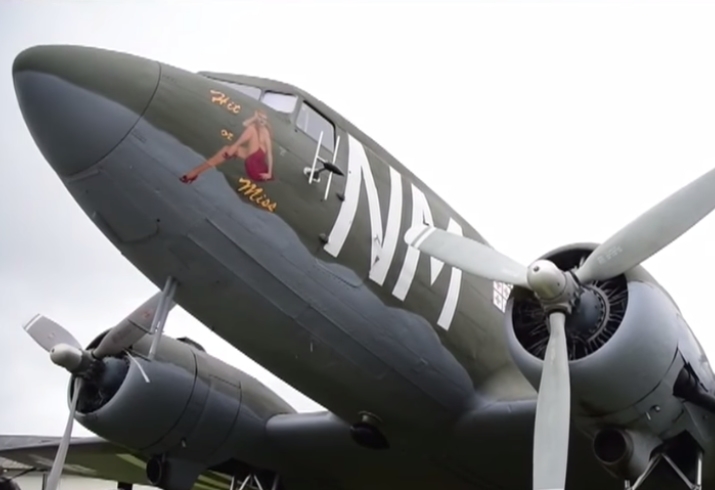 Eight of the 14 men jumping from her on the 75th D-Day anniversary are current or former U.S. Forest smokejumpers. 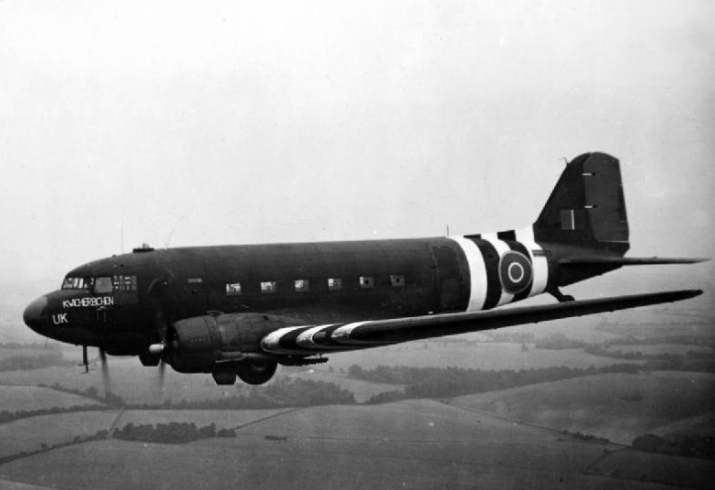 Hit or Miss was produced in 1943 and eventually flew to England as part of the IX Troop Carrier Command. She did’t participate in D-Day, but was involved in Market Garden, Battle of the Bulge, and Operation Varsity. 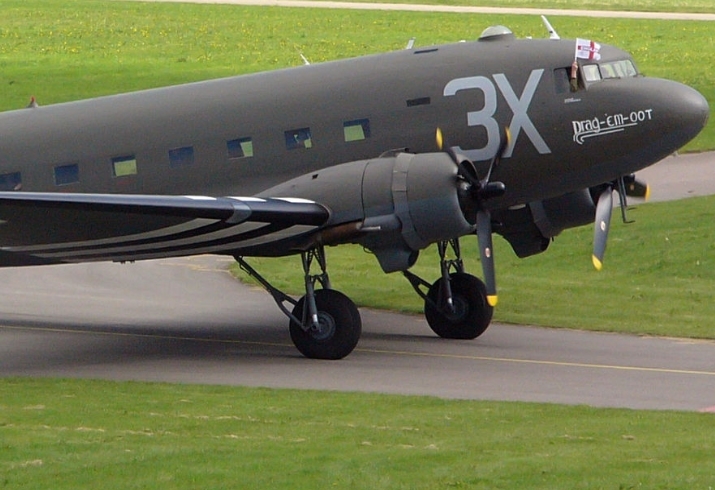 Kwitcherbichen is a Dakota ZA947 painted to represent Dakota FZ692 of No 233 Squadron, around the D-Day period in 1944. She has the best name ever! Willa Dean transferred from the USAAF to the French in May 1945 and was transferred again to the Israelis in 1967. 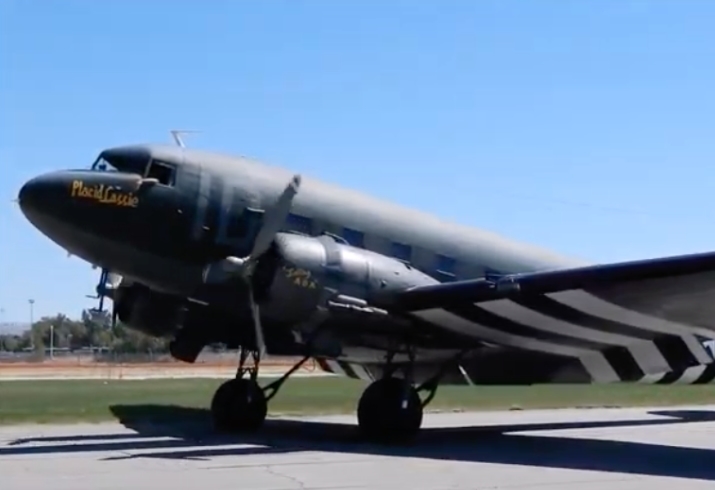 Today she is one of the most original and complete C-47s in operation. Placid Lassie was built in Long Beach, CA in July, 1943. 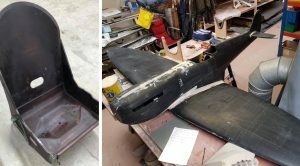 After a few years of service stateside, she flew to France fro D-Day and participated in a number of operations: Neptune, Market Garden, Repulse, and Varsity. her pilot, 1st Lt. Richard Lumm, survived the war, as did she! 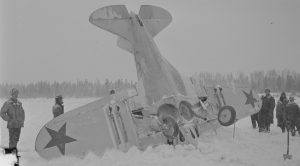 Virginia Ann served with the 61st Troop carrier Group, the 59th Troop Carrier Squadron, and the 9th Air Force. 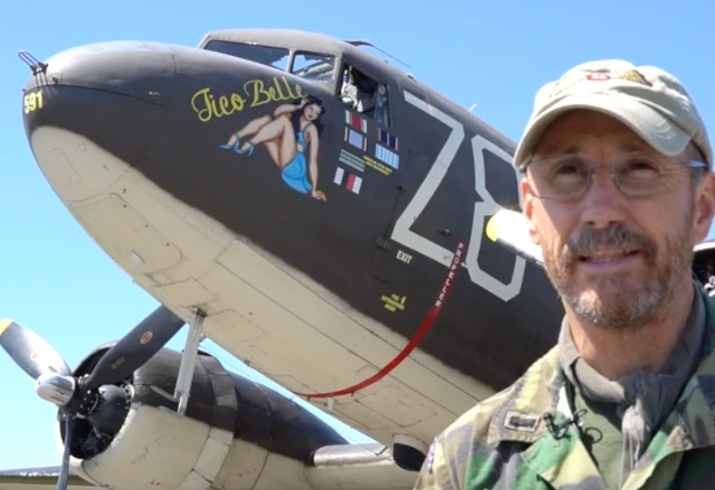 Tico Belle is a bonafide Normandy veteran. She dropped her men of the 82nd Airborne Division over Landing Zone O near St. Mere-Eglise. 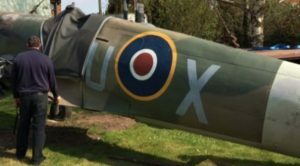 She also flew five other operations in France, Holland, Belgium, and Germany and stayed after the to participate in the Berlin Airlift. Miss Virginia never made it to Europe but served well in the States with the Training Command and the National Guard. 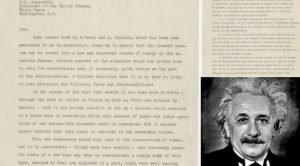 She was also flown by legendary missionary pilot Bernie May and spent some time operating out of Colombia transporting missions supplies. Miss Virginia was the name of the P-38 Lighting that shot down Japanese Admiral Yamamoto in 1943.